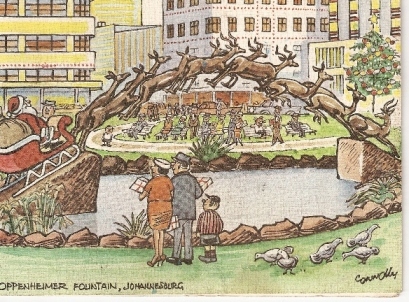 The Stampede or the Impala Fountain is probably Johannesburg's most well known art work. 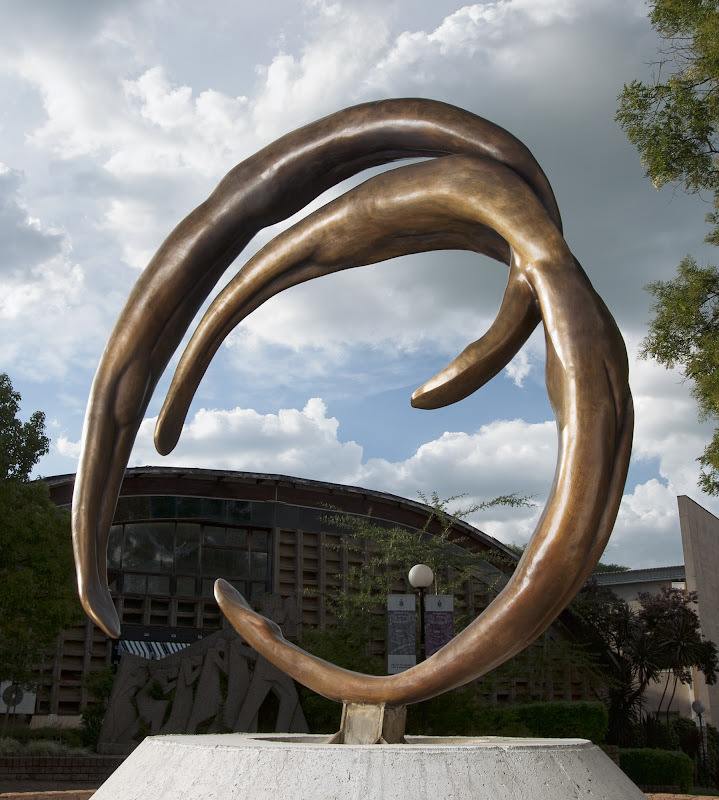 It was commissioned by Harry Oppenheimer of De Beers in memory of his father Ernest and donated to the City of Johannesburg. 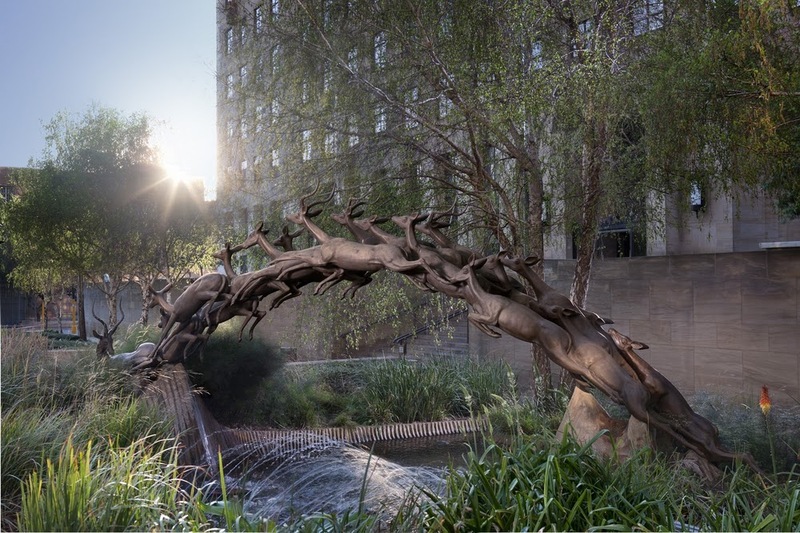 After having being vandalized it was restored by Herman Wald's son Michael and reinstated at a new location at 45 Main Street Johannesburg in 2002. Over the years innumerable images of the work have appeared in tourist brochures, postcards and newspaper articles and cartoons. 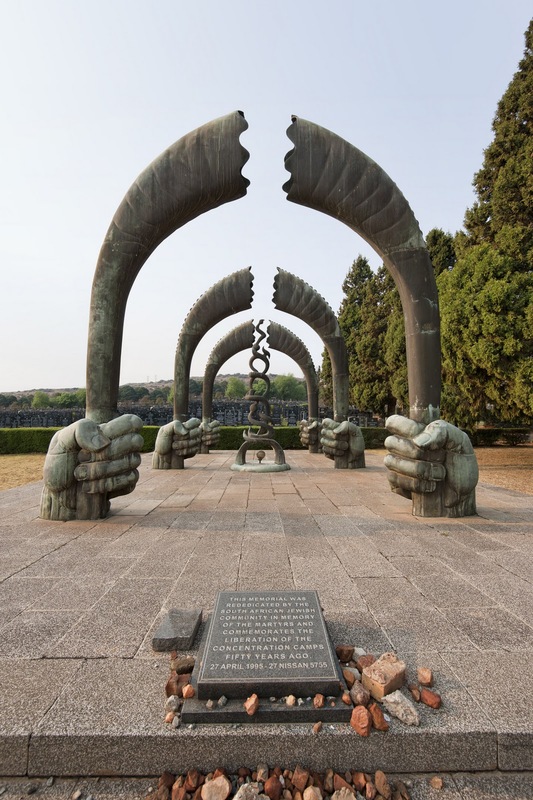 This is a highly significant landmark for the Jewish community in South Africa. 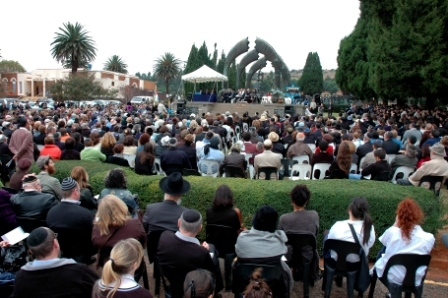 Each year the Remembrance to the Six Million ceremony is held at the monument with the base serving as the platform for the speakers and choir. The photographs below were taken in April 2009. 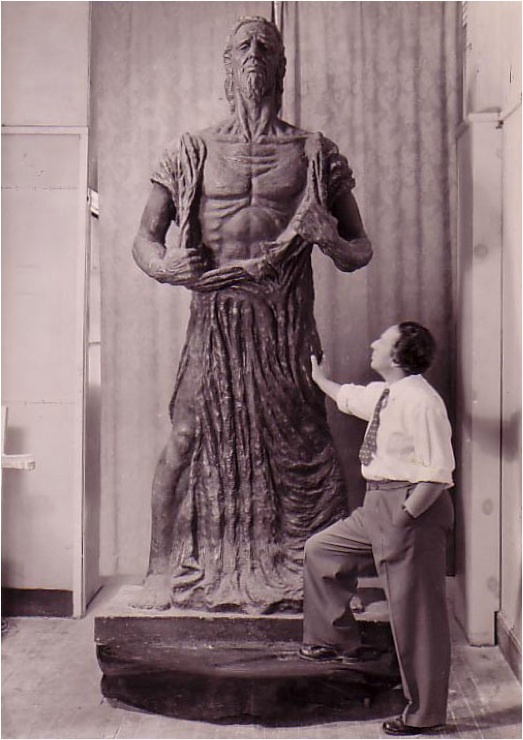 The first shows the scale of the hands and the second an indication of the number of people that attend the event. 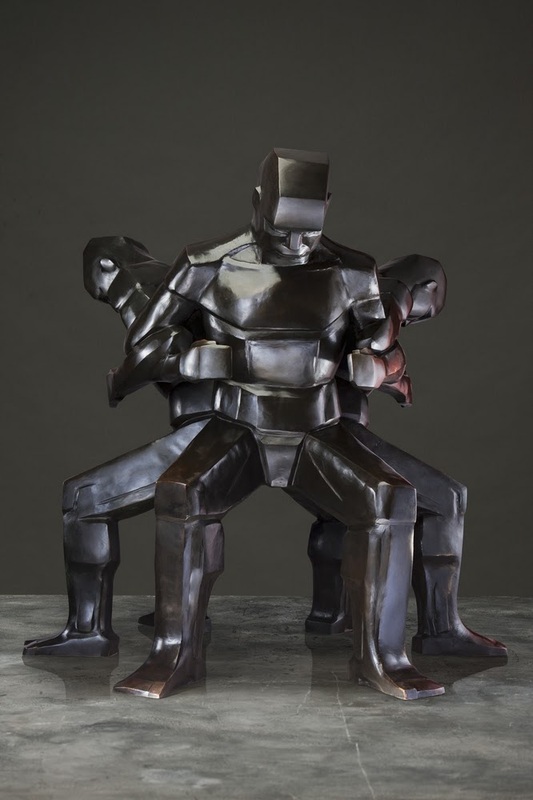 Also commissioned by Harry Oppenheimer of De Beers in memory of his father Ernest. Kimberly diamond mines launched De Beers in the 1870’s. 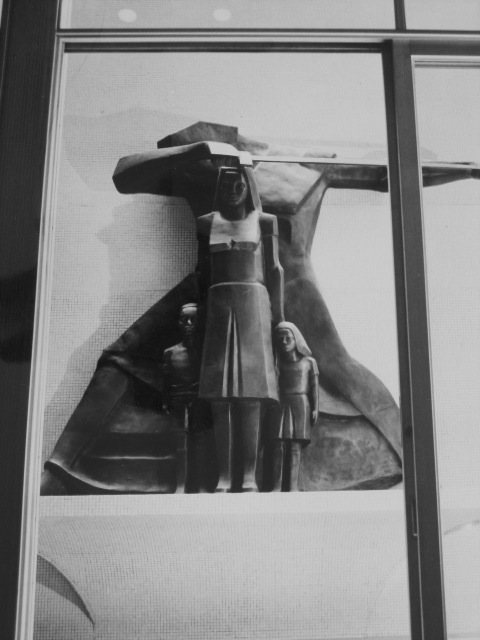 The work described was in the press as a tribute to the men who pioneered the diamond industry. 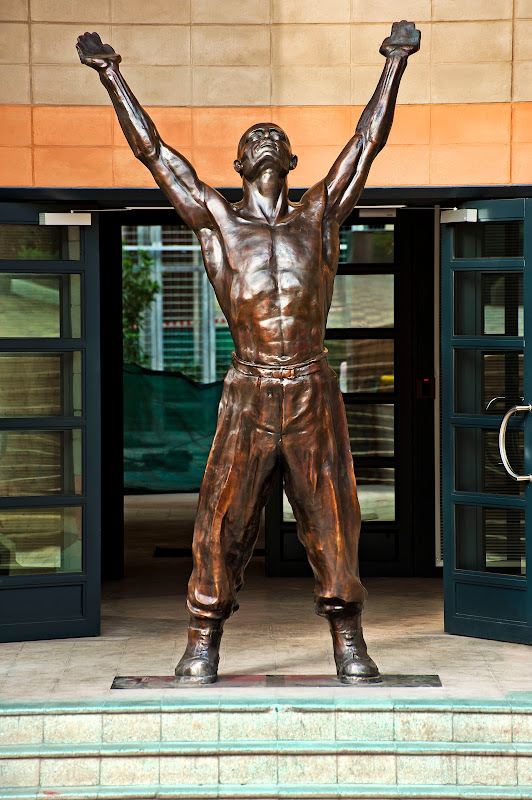 The work stands at the entrance to the main building at Sandringham Gardens - the centre for care of the Jewish elderly. Commissioned by the Old Mutual Building Society for its Saint Mary’s Arcade building in Joubert Street. Originally commissioned by the United Building Society. Now at the Absa building in Main St Johannesburg. The use of emphatically varied facial feature types was a strong plea for unity amongst and equality for all South Africans. The arched perforated wood panel screens the elevated choir room from the synagogue. "In a way I have also fulfilled a childhood ambition for I remember as a choirboy I carved my name into the back or the grille in our shul and now I have the honor to carve the front. 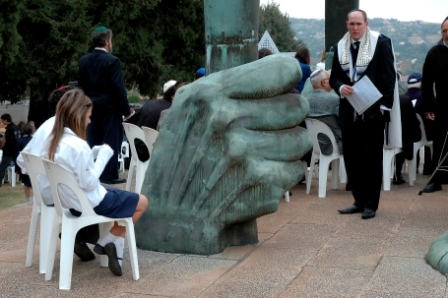 There is the Chassidic devotion of orthodox Jewish hands offering their prayer in traditional manner. Another motif is the Menorah coming from the time of Titus the Conqueror. Then there are the ten commandments at the foundation. 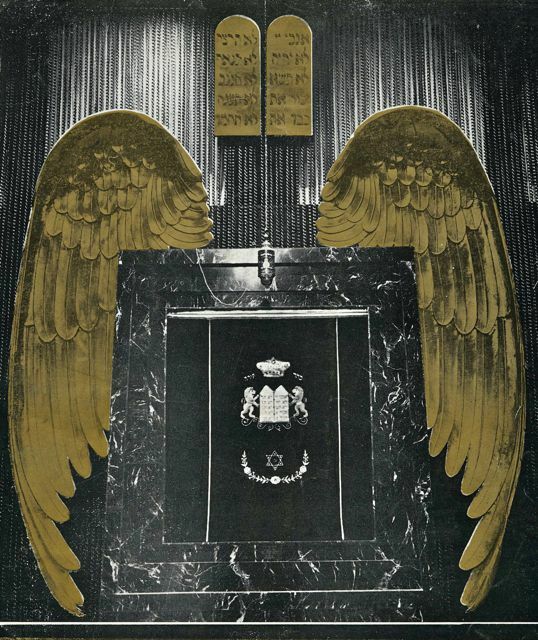 The gleaming copper wings frame the 'Aron Kodesh', the marble framed cabinet which houses the torah scrolls and is at the focal point of the synagogue. "When I was approached to design the main wall of the Berea Synagogue. I felt that l was faced with a number of problems. It is no simple matter to reconstruct a conception derived from Biblical days, when the Covenant was carried in the desert. One of the greatest artists of them all from antiquity was approached to make a carriage for the Covenant. His name was Bezalel who did the carving of the Cherubim in which the Covenant was carried. I have attempted to reinterpret the conception that Bezalel used. This cast was made in 2011 and erected in November. See here. 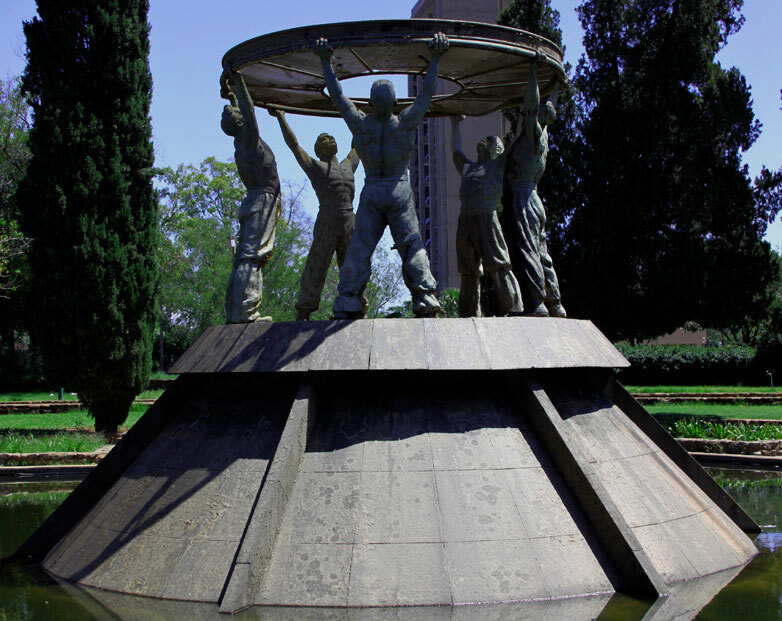 It was donated to the University of Witwatersrand Engineering Faculty who paid for the production costs. Michael and Louis Wald managed the prodcution process.